On April 13 and 14, 17 students from Elementary, Middle and High School attended the Sixth Asia-Pacific Bilingual Festival at the ISF Academy in Hong Kong, where they competed in storytelling, poetry recital, speech giving, and debate against more than 250 students from 20 schools all over the Asia-Pacific region. As Austrian-British philosopher Ludwig Wittgenstein once said, the limits of my language mean the limits of my world. 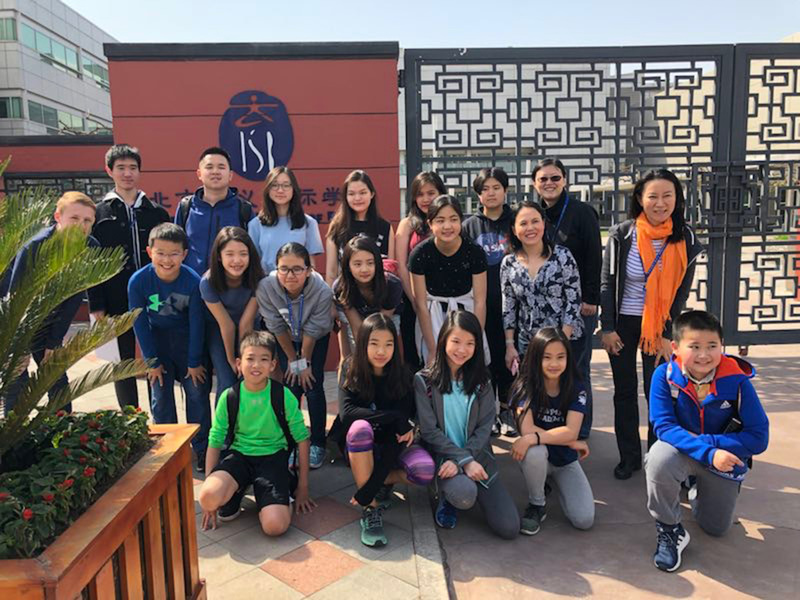 Here, International School of Beijing (ISB) students not only got to practice their Chinese and English language skills, but also expand their horizons, meet new people, make new friends, and learn more about the world in both languages. The festival gave the participating students an opportunity to express their ideas and emotions in both languages, moving past rote memorization of concepts to use the languages in conversation and debate. Exercising not only their academic skills, students across grade levels were happy to attend the festival. Ada W, grade 6, said it allowed her to explore the medium of story and poetry, having realized that language can serve as a way to express nuanced emotions and insight. Parents also viewed the festival as a positive learning experience. Joy Beadles, mother of an ISB eighth grader, said she was impressed by her son's studiousness preparing for the event, the passion of the teachers, and parents' help for students in preparing to present the speeches. "It brought us all together," she added. "Seeing my son's confidence grow in using his Chinese with teachers, other students and the public was even more encouraging. He can't wait for the next one and has already signed up to help ISB be successful in having the bilingual festival on campus next year." Overall, ISB was very successful, taking home four out of 10 gold medals from the competition. As students become interested in this festival, there is no doubt that ISB will triumph again next year as the host school!